Choosing a partner with uncompromising integrity to oversee your accounting functions is essential when running a medical practice. Discover why so many doctors, dentists, and medical professionals in the Dallas, TX area trust a CPA firm, that’s part of their community, Mitul Mehta CPA PC. We have a stellar reputation for providing quality accounting services and money-saving tax strategies coupled with unparalleled customer support. To us, clients truly come first. We are committed to helping every client succeed so we work alongside you throughout each stage of your practice from inception to maturity. Together, we’ll negotiate the path to reach your financial and business goals. We also offer prompt and accurate income tax preparation for medical practices. Find out how we can team up to build your business and your personal wealth. Request your strategy session through our website or call (214) 746-5074 and get started now. Energetic and compassionate, engaged and professional, Mitul Mehta is the ideal individual to serve any small or medium business. Curious and industrious, Mitul is fascinated by the inner workings of “the entrepreneurial machine” and the passion behind each independent business owner. Mehta literally translates to accountant thus it comes as no surprise that Mitul is very good at his chosen profession. Born and raised in Mumbai India, Mitul enjoyed a plentiful, abundant childhood. As a young man, he moved to the United States to further his education and to join family living in the west. 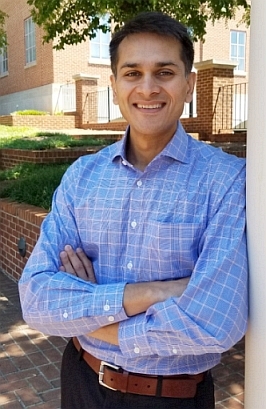 After achieving an advanced degree, Mitul forged a successful career in the finance, accounting and technology field and expanded his portfolio of talents to include forensic accounting, auditing, and project management. When Mitul’s wife completed her dental program in San Francisco and decided to open her own practice, together they decided that Texas was the right location to put down roots. Now, with two locations well established and expanding, Mitul has decided to open his office in Dallas. Mitul specializes in small business services such as monthly accounting, business advisory, business consulting, tax preparation and payroll. Having spearheaded the launch of several small businesses, Mitul is in the perfect position to share his knowledge with aspiring and new small business owners. Mitul welcomes the opportunity to serve his community to insure that entrepreneurs enjoy successful business lives and rewarding personal lives that come as a result!